The allure of visiting Morocco had been in the back of my mind for a while with its mountain ranges, buzzing cities, deserts and beaches. When planning my next trip we booked a twin-centre stay with a night at a luxury retreat in the Atlas Mountains followed by two nights in Marrakech. I travelled with my mother for as little as 3 nights but we felt a world apart! We arrived at Marrakech airport around midday where we were met by our rep who took us to our private transfer where we then headed out to our first stop in the Atlas Mountains. The busy roads reminded me of Cairo and we could feel the warm dusty air coming through the windows, which was welcomed as we were travelling in November away from the cold British winter. Once out of Marrakech the roads were quiet and we could see the Atlas Mountains looming and not before long we arrived at our hotel. 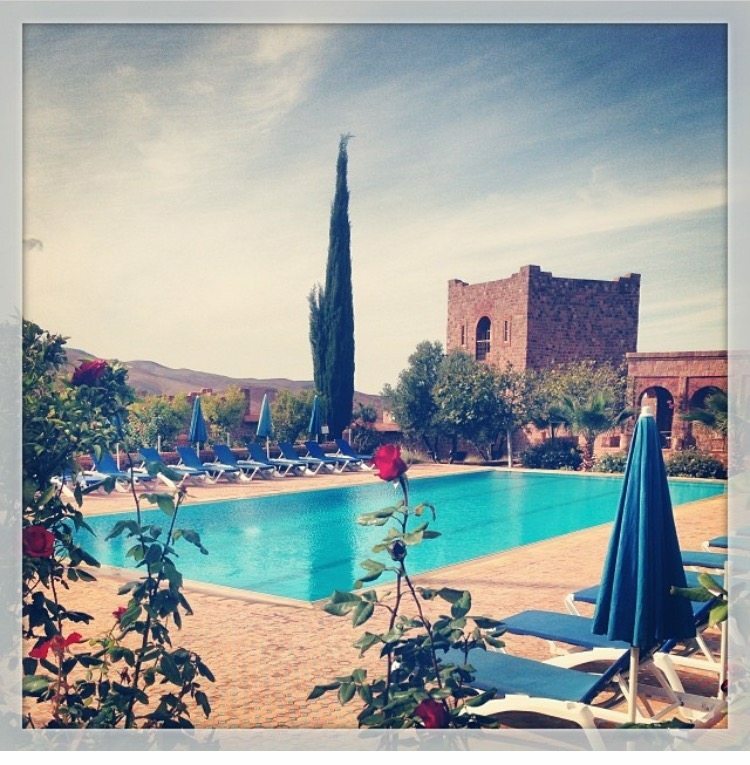 We stayed at the Kasbah Angour in the Asini area, perched on top of a steep hill the views were wonderful. This is by far the most peaceful hotel I have ever visited. You could not hear a thing apart from the wind rustling the trees in the garden. We were welcomed by the friendly and attentive staff and before long we had sat down to a delicious lunch of chickpea stew and Moroccan Berber bread. We then spent the rest of the afternoon relaxing in this utter haven, enjoying the warm sun, reading and simply escaping life back home. The hotel boasts an outdoor pool and if it had been during the summer months we would have certainly have had a dip. 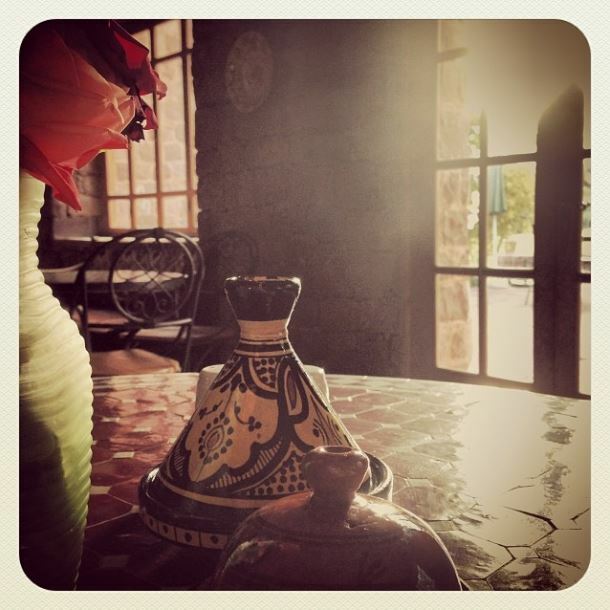 Later that night dinner was enjoyed in front of the fire in the Kasbah’s cosy dining room. I enjoyed a vegetable tagine with couscous whilst my mother enjoyed a traditional chicken tagine. We woke up refreshed the next day and headed down to breakfast ready for the hike in the Atlas Mountains that we had organised the night before. A pack lunch was made for us to take and the guide met us promptly at the hotel. 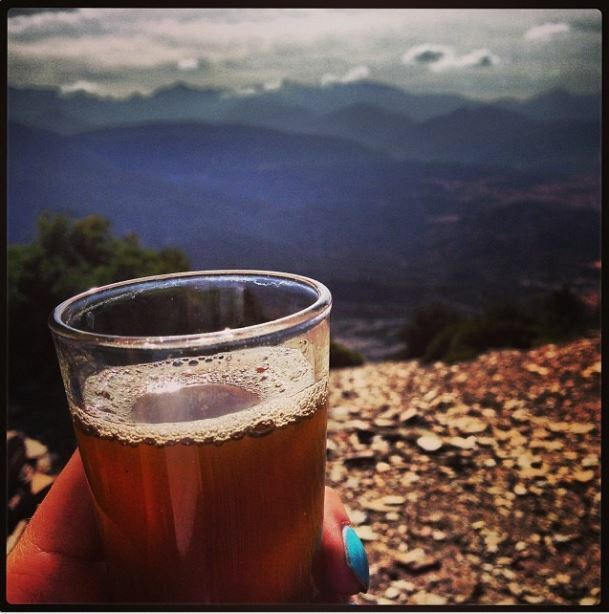 Our guide took us up and around the High Atlas Mountains, stopping at the top to enjoy a hot cup of traditional Moroccan mint tea which we bought from a local man. We rested at the top and tucked into our much deserved pack lunch of Berber bread, nuts and fruit, which was enjoyed gazing out across the High Atlas. We then started our descent back to the hotel with our knowledgeable guide informing us along the way about the local mountain shepherds, pointing out edible fruit which grew on trees and about the dry river beds on which we walked. 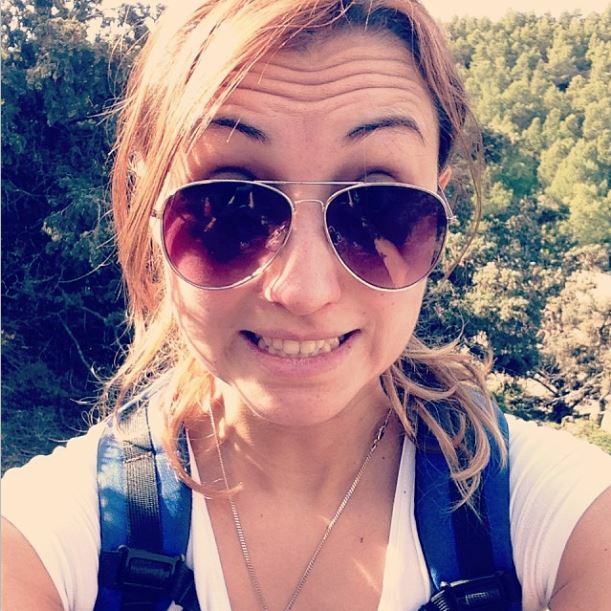 There are different levels of walks available depending on your ability but I cannot recommend it enough, it was such a wonderful way to explore the area. Once back at the hotel we had time to shower and relax before we were getting picked up by our transfer onto the next part of our trip… (Blog coming soon). The Kasbah Angour is the ideal place to stay for anyone wishing the visit the High Atlas Mountains on a holiday to Morocco. 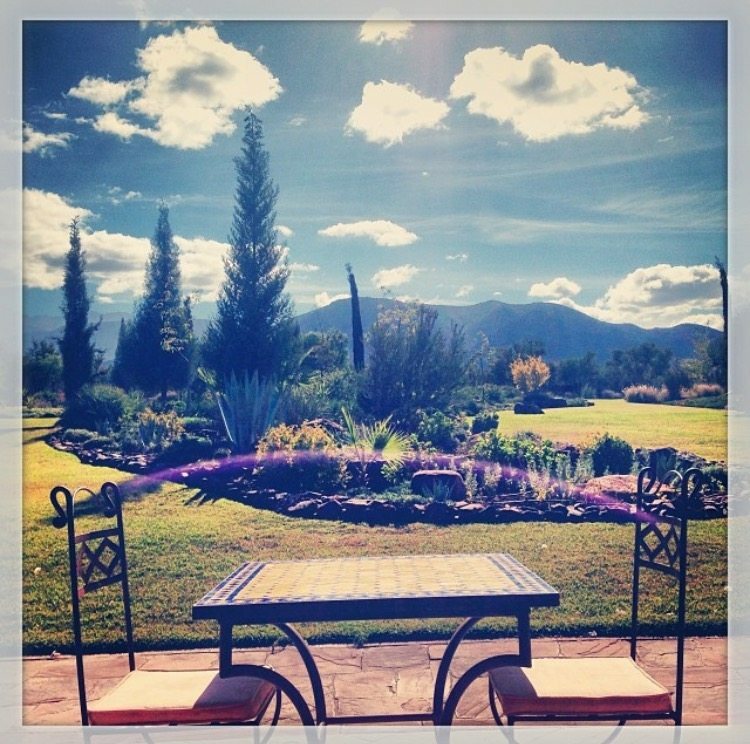 Relax and unwind away from the hustle and bustle of Marrakech in this true mountain haven.